In many Jewish communities - as the Jewish holidays of the month of Tishrei near their close -- it is customary to read the book of Ecclesiastes (Koheleth) during the shabbat of sukkot. A holiday known as "z'man simhateinu" - the time of our joy - is, paradoxically, celebrated in part by reading reflections, traditionally ascribed to King Solomon, that suggest that the human condition is utterly inexplicable. In the face of an uncertain and often frustrating world, the book ends by counseling the reader to maintain awe of God and to observe God's commandments. The phrase "et ha-elohim yir'a" - hold God in awe - calls to mind similar Biblical references. In the book of Jonah, for example, Jonah describes himself as a person who holds the God of heaven in awe, and the sailors on whose ship he is a passenger are, likewise, described as having awe of God; hence, their extreme reluctance to cast him into the sea. In juxtaposition to these references, Amalek - the marauding arch-enemy of the Israelites - is described as lo yarei elohim: NOT having awe of God. What does "yirat shamayim" - awe of heaven - represent, in Jewish tradition? The Torah, early in the book of Genesis, describes humankind as created in God's image. For this reason, it is not surprising to come upon a Biblical text in which Abraham -- in the midst of an encounter with God -- "tables" that experience and runs to greet three strangers whom he sees in the distance, welcoming them to his tent. Abraham recognizes that "yirat shamayim" expresses itself in concern for the well-being of others. 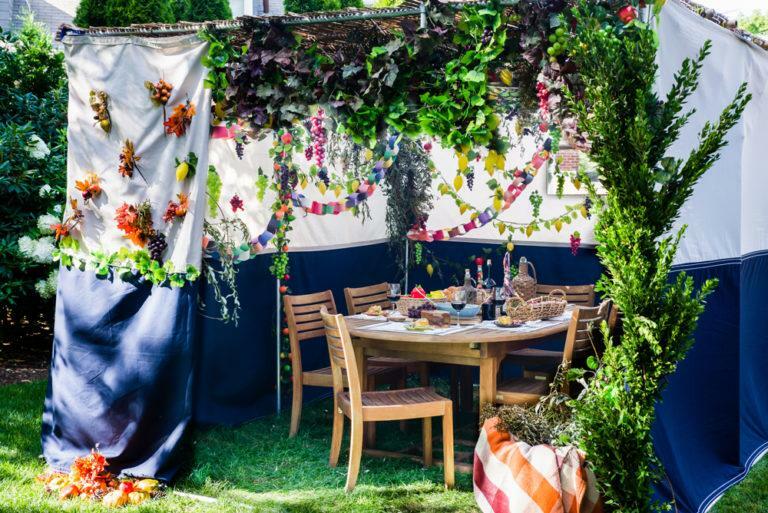 Koheleth, as the sukkah itself, reminds us that much in life is beyond human control. Jewish tradition maintains that the most fundamental decision, reserved exclusively to each individual, is "yirat shamayim" - awe of heaven. Embracing "yirat shamayim" as an orientation to life is to recognize, as John F. Kennedy so beautifully phrased it, that "here on earth God's work must truly be our own."